Who doesn’t love a sneak peek!? I know that I do. I used to go on a hunt for my Christmas presents with the hopes of seeing what was in store for me! Well today, I’m here to share a sneak peek of the Denami Design products that will be released for sale in just a few days! 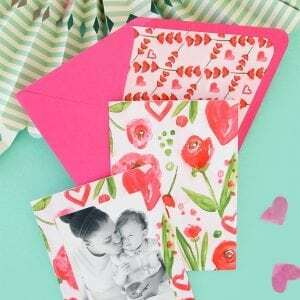 My projects feature several floral images that you are gonna love…I just know it! 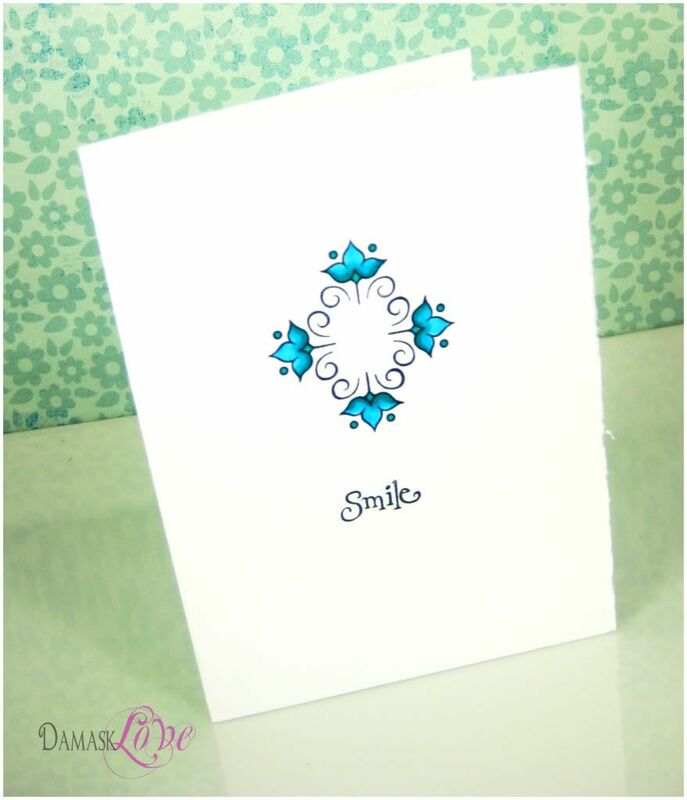 I grabbed my Stamp-a-majig and created this pattern in an array of fun colors! 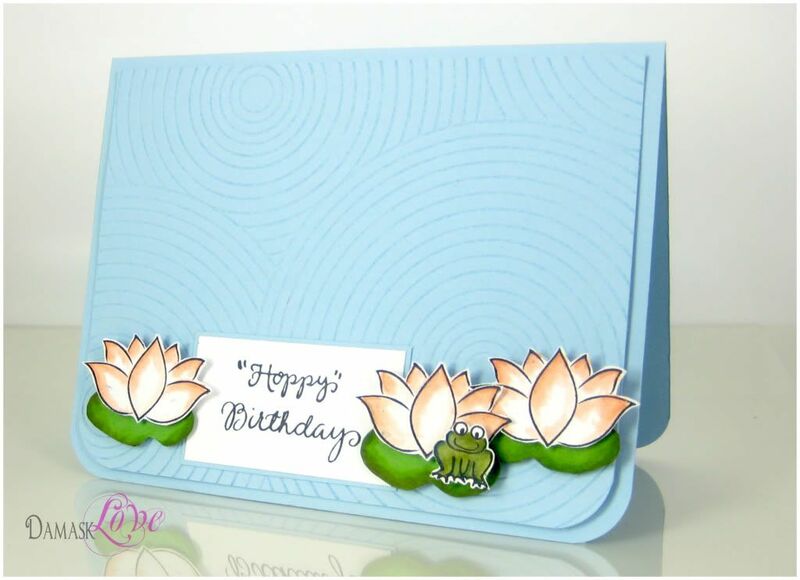 Next up is a set of cards that I made using one of the images from PF50 Ornamental Flowers set. This set might be my fave! The little flower images can be used in a ton of different ways. 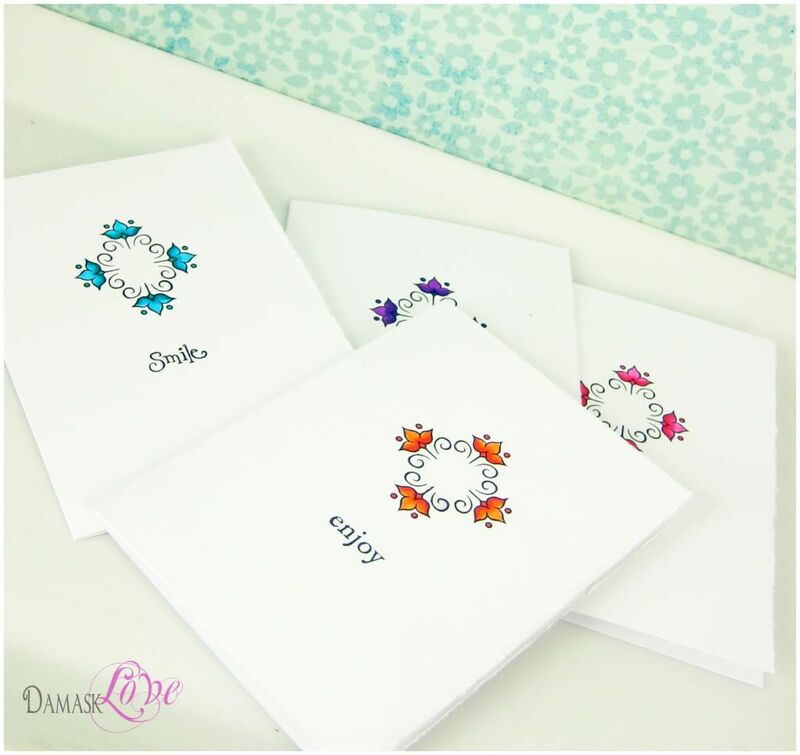 For my card set I stamped one of the images in four different directions to create a sort of tile pattern. 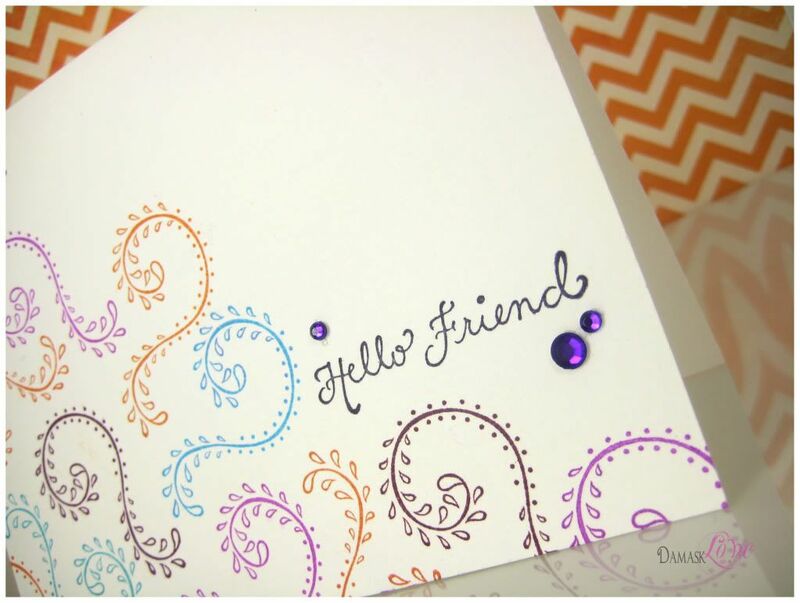 I colored each one with markers and finished them off with a simple sentiment from the PF28 Heartfelt Greetings stamp set. My last card is a whimsical one. When I saw the new waterlily stamp, I knew I had to make a something fun with it…and as much as I hate frogs (and I really, really do hate frogs) I knew I could handle working with the B91 Froggy stamp. He is tame enough and he’s not slimy and gross. Now that you’ve seen all the fun stamps that are coming to Denami…now you have a chance to win them!!! 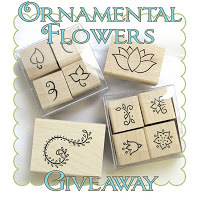 Just leave a comment on my blog and you may be randomly selected to win each of the Ornamental Flower stamps pictured above! I just LOVE how you’ve used these elegant new stamps, Amber. 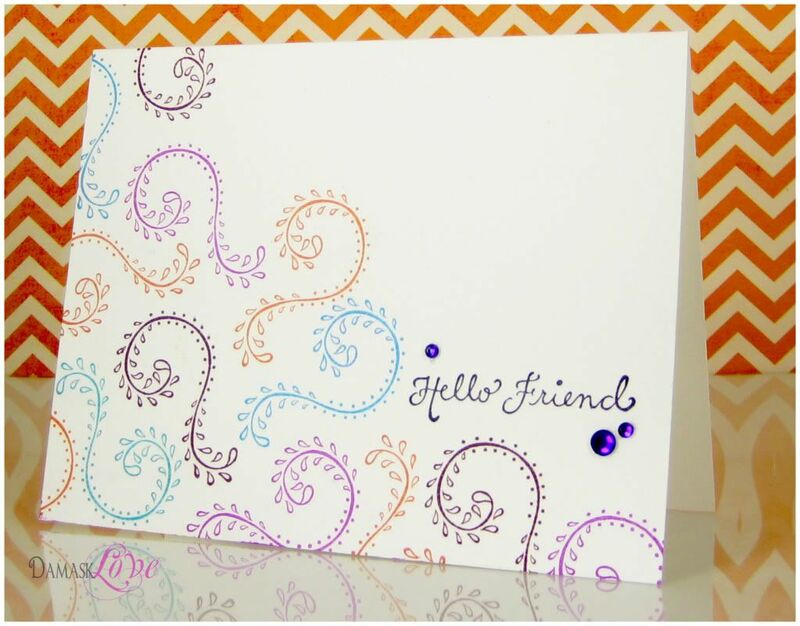 Great use of color, and your design of each card is impeccable! Amazing! I love them all! 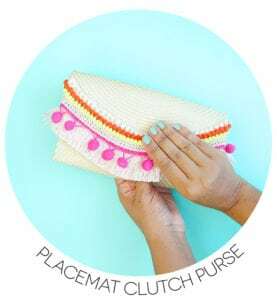 Can’t wait to create my own! Thanks for sharing! So very cute! I love all the new stamps! Love the clean, simple lines on these. Really shows the versatility of DeNami’s stamps. Thank you for sharing! 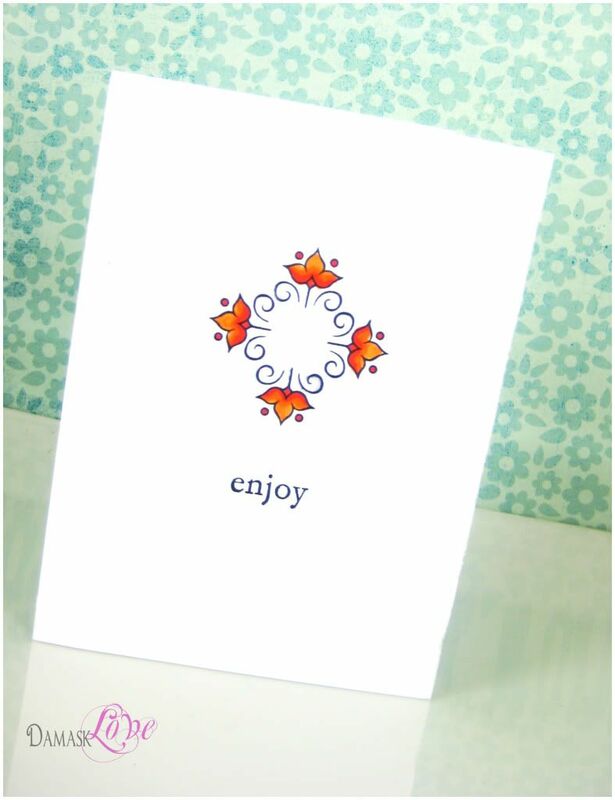 The Ornamental Vine card is just lovely. Changing the colors and the simply words on the others is so fun too! 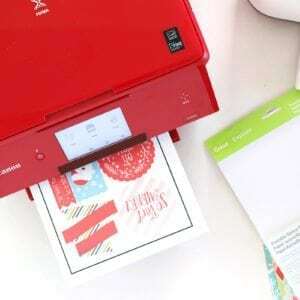 Amber, I found your blog through the PaperCraftsConnection blog and may I say…WOW! 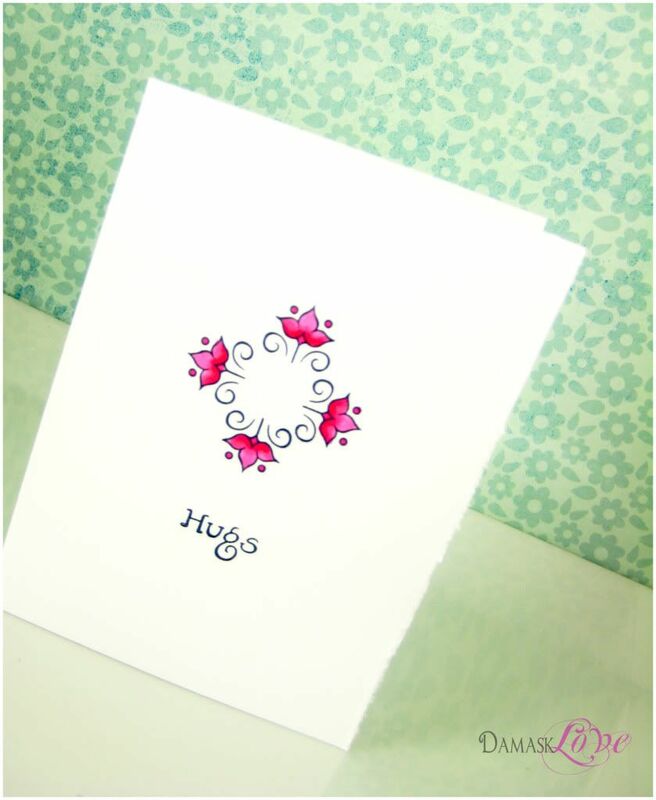 I adore your CAS card set especially…great mix of colors with a sweet, simple flower! Awesome! Love the tile cards. How did you ever get them so exact? Love the color choice too. 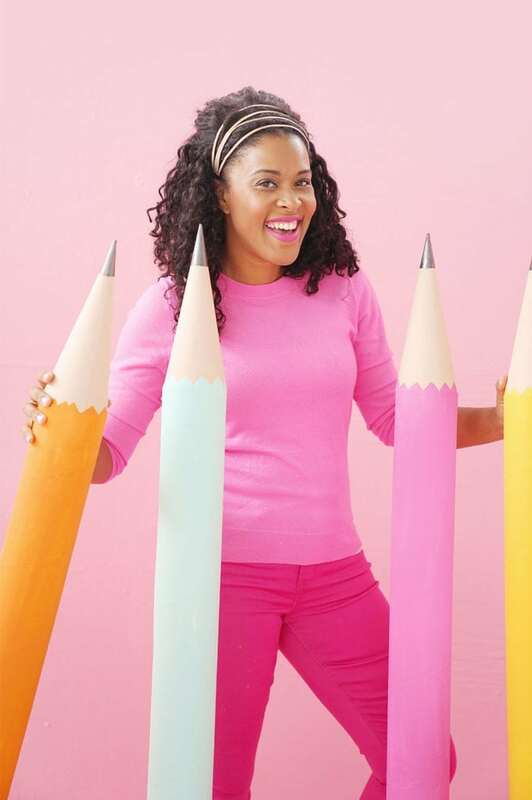 You have a great eye for color and design. Thanks for sharing! WOW, Amber!! 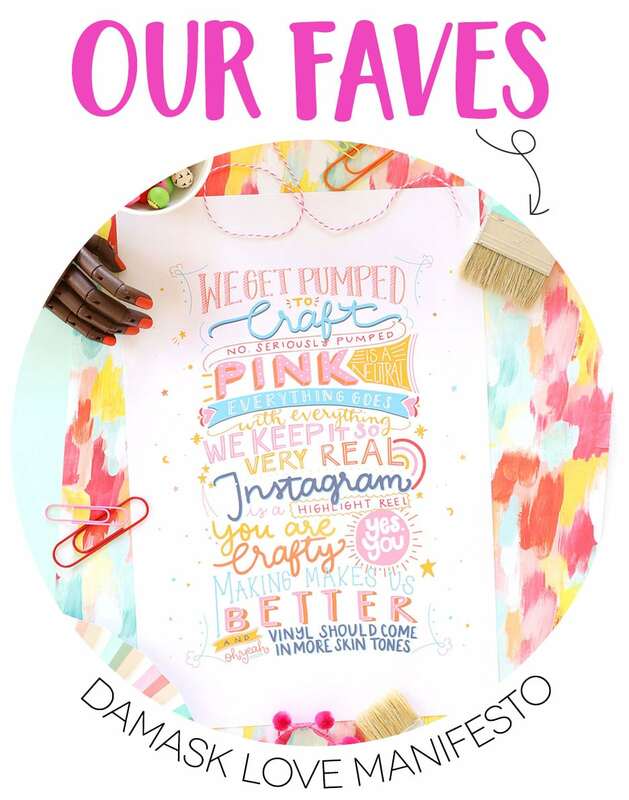 Your sneak peek projects are FABULOUS!!!!! 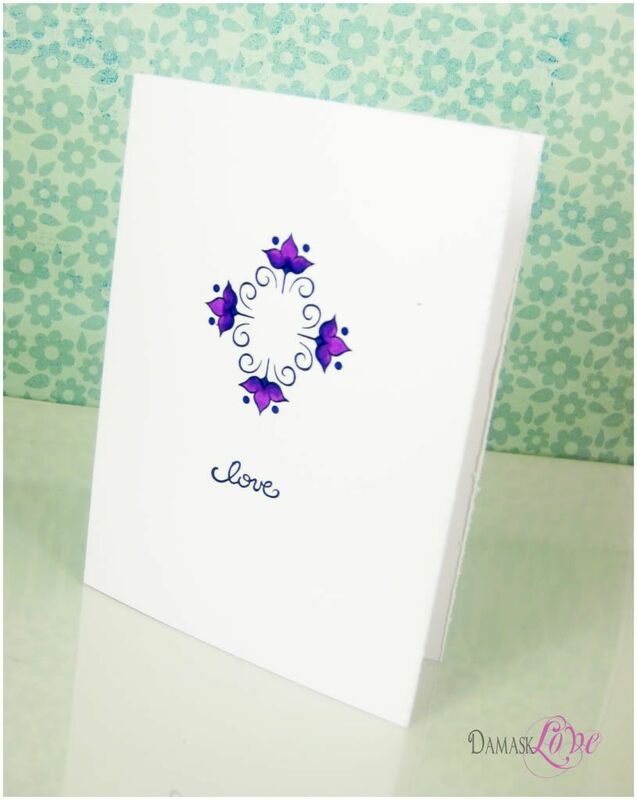 I especially LOVE the one layer cards you created using the ornamental vine and ornamental flowers stamp set!!! GORGEOUS!!! Great job showcasing these new images!! !